The EU has been testing new ways to catch terrorists, and a method of brain scanning could be the way to weed them out. 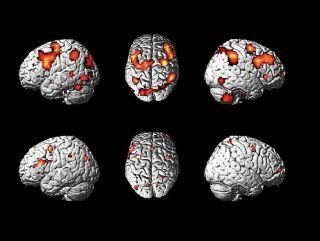 Developed via the Humabio (Human Monitoring and Authentication using Biodynamic Indicators and Behaviourial Analysis) projects based in Greece, the scans would search for distinctive brain patterns as people pass through checks. This would be used in sensitive locations, such as airports and borders to catch those that might have successfully forged documents, although the research hasn't shown how long such scans would take. The Humabio projects, funded by the EU, have also looked at ways of monitoring heart rhythms to achieve the same effect, as well as monitoring posture in truck drivers to tell when the vehicle is being used by an unauthorised user. The project primarily looks at future possibilities for testing rather than swiftly deliverable technology, and researches other methods of suspect recognition by measuring faces and even a person's gait. This isn't the first time that brain fingerprinting has been thought of as a way of finding terror suspects, as Israeli researchers have been working on a similar system for airport security. However, theirs differs in that it will covertly offer subjects words such as 'Jihad' and will be able to measure those that display emotional strain. There are those of us that have the same response to anything starring a Big Brother contestant, so it might need a few tweaks in case we accidentally glance at a copy of Heat in the airport.